Black walnut trees growing in Ohio yards and landscapes can be a plus or minus, depending on where they are located. 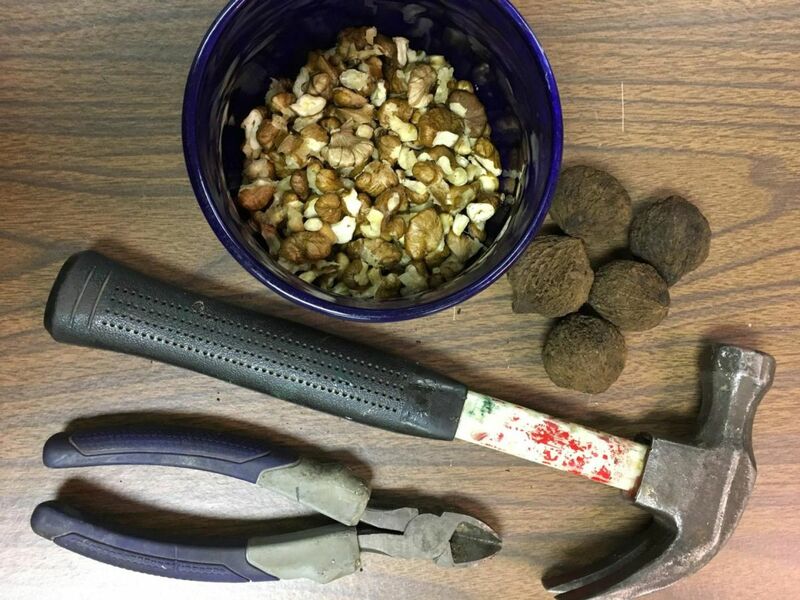 Although black walnut trees produce edible nuts for people and wildlife, they may also harm nearby plants, gardens, and shrubbery. Black walnuts (Juglans niagra) are wonderful shade trees. They can grow up to 100 feet high. 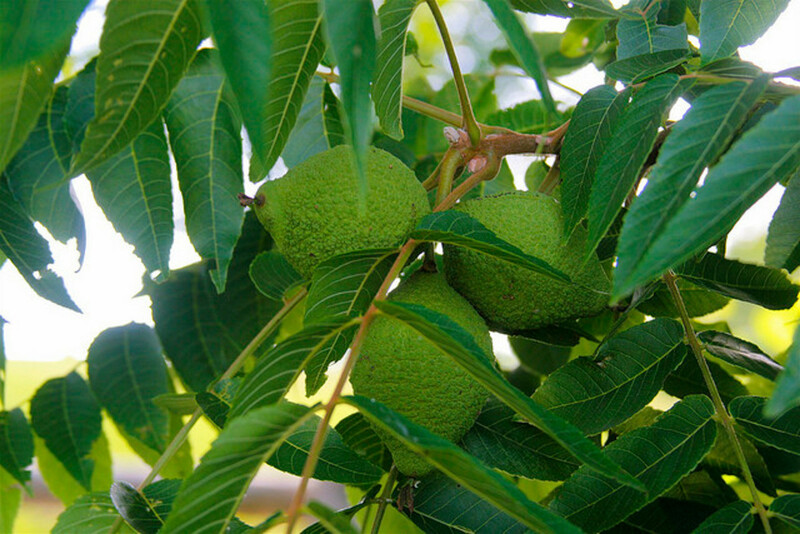 Walnut trees produce food for humans and wildlife (squirrels, chipmunks, birds, and insects). These critters love them! But, in Ohio (and other states), these trees release a naturally toxic anti-fungal chemical substance called juglone. Nearby grass, gardens, and other plants can die from it. Gardening experts say that not all plants are sensitive to the chemical, however, shrubs, vines, ground covers, perennials, annuals, and gardens may be affected when embedded near black walnut trees. 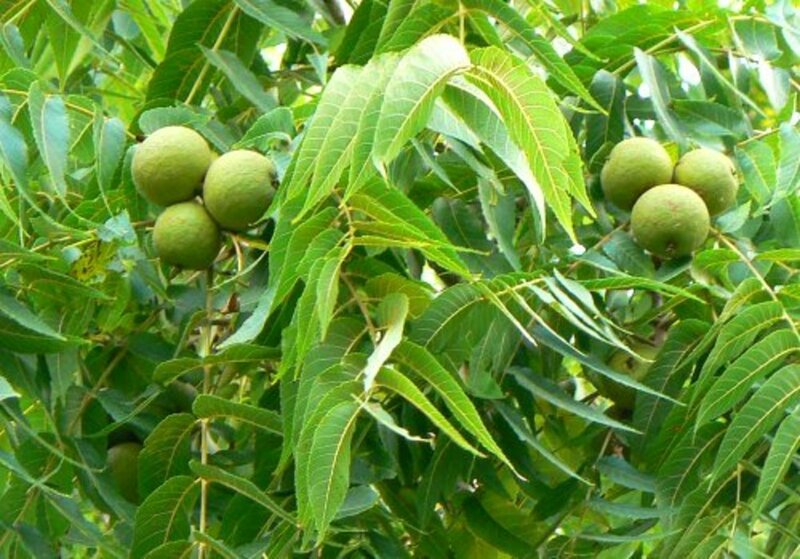 The juglone chemical spreads itself in all parts of black walnut trees, including; buds, leaves, roots, stems, nuts, and hulls. The severity of the damage varies, but the toxic substance can mostly affect other trees through root contact, falling and decayed plants in the soil, and rainfall (foliage may drip juglone onto vegetation). 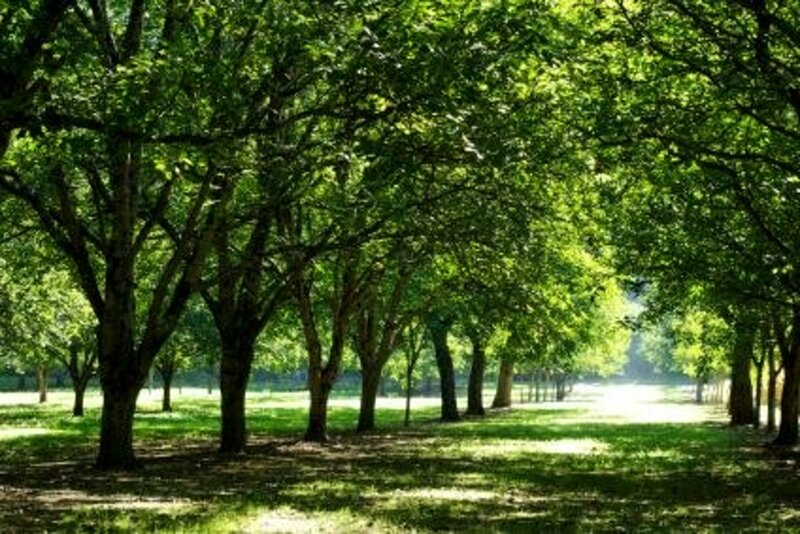 Plants, gardens, shrubbery and other greenery that live underneath a mature walnut tree’s canopy – about 50 to 80 feet from the trunk – may be severely damaged and eventually die. Just like people, plants need oxygen to survive. When various types of vegetation come in contact with juglone, these plants yellow and wilt because they cannot produce carbon dioxide and oxygen needed to breathe. Black walnut trees in Ohio (and other areas of the Midwest) can partially or completely kill off gardens – especially those growing tomatoes, eggplant, potatoes, and peppers. 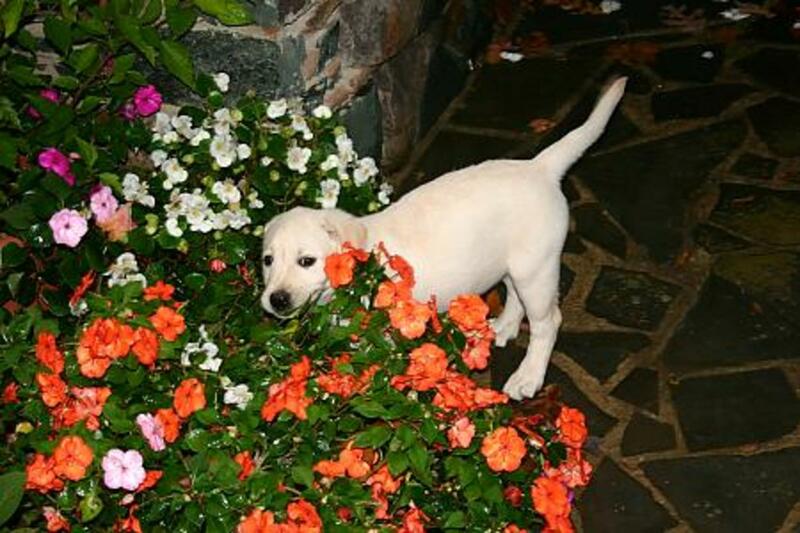 Flowers and ornamental plants are also sensitive to the effects of juglone’s toxicity. 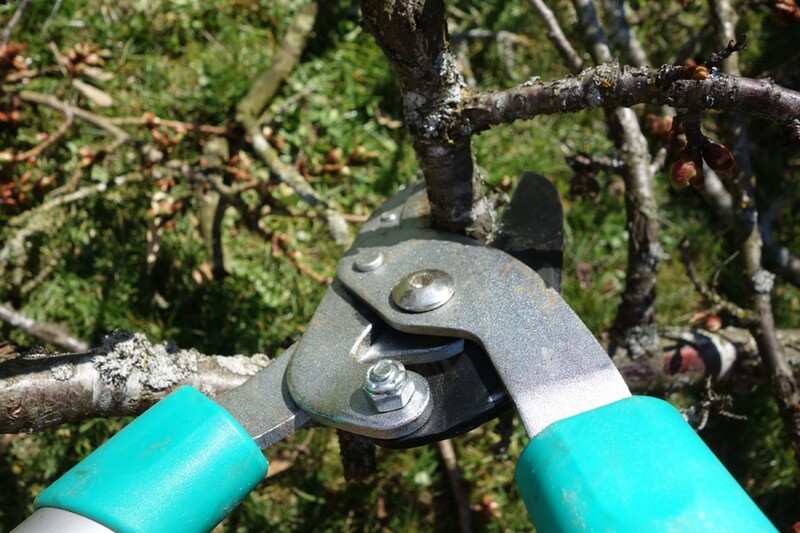 Juglone causes what is known as “walnut wilt"– it may be the reason for limp and decaying greenery if your garden or landscaping is located near a black walnut tree. Yellowing, fading leaves and shriveling, discolored stems are indicators of juglone poisoning. 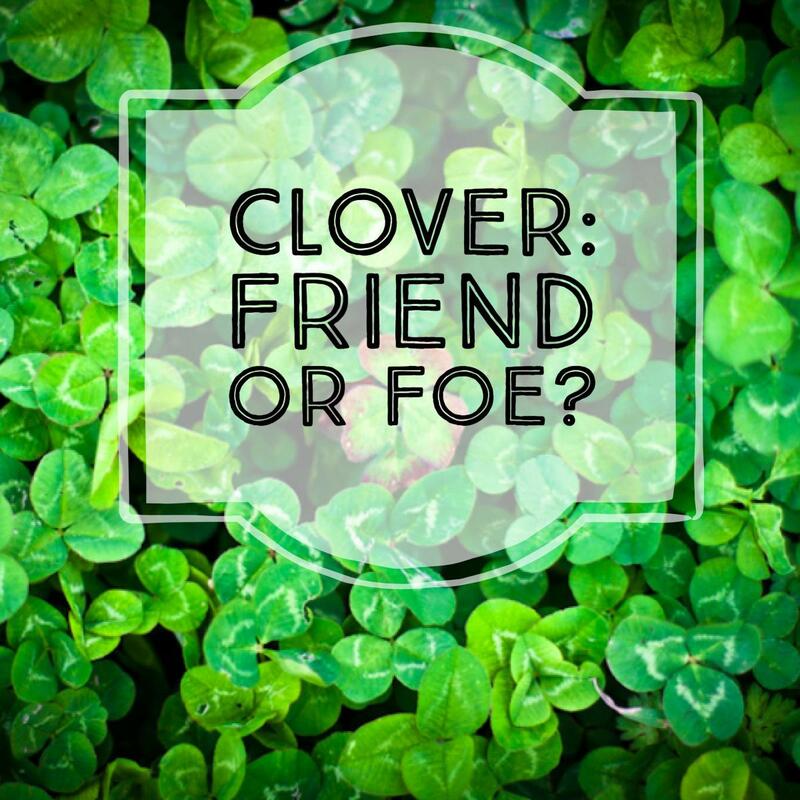 When it comes to some plants, like tomatoes and potatoes, negative reactions can happen quickly and kill off the vegetation within a day or two. Shrubs and trees have similar symptoms – especially on new growth – but older leaves, stems and branches may cause the death of the plants. Black walnut tree roots exude the chemical of juglone into the soil; is it possible to control the substance so that it would not kill neighboring plants? No, but, also … yes. Juglone cannot be controlled by sprays or antitoxins, say gardening experts from Ohioplants.org. 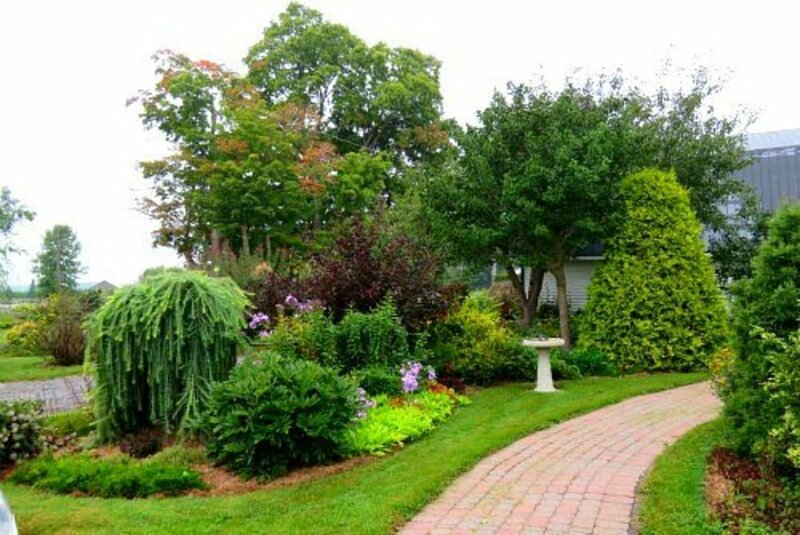 The best thing for homeowners to do – avoid planting gardens near black walnut trees, and vice versa. Separating black walnut trees from other vegetation is the best way to keep the toxicity of juglone under control. Tomatoes, apples, pears, berries, potatoes and various landscaping shrubbery are in danger of being poisoned, as well as rhododendrons, lilacs, and azaleas that are growing too close to tree roots. 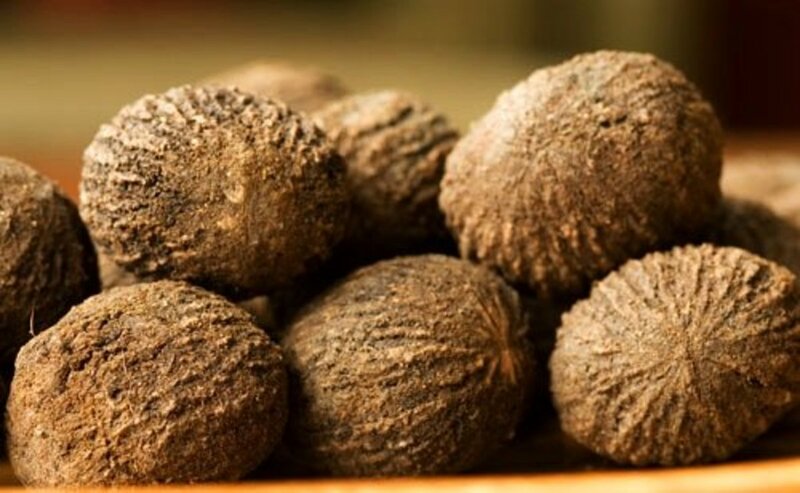 Having black walnut trees in your yard does not mean you cannot have a vegetable garden, but you will want to be cautious about where you place it. Dig your garden 100 feet (or more) away from mature trees. The trees' toxic zones are typically within 50 or 60 feet of the trunks, but roots typically extend to 80 feet or longer. 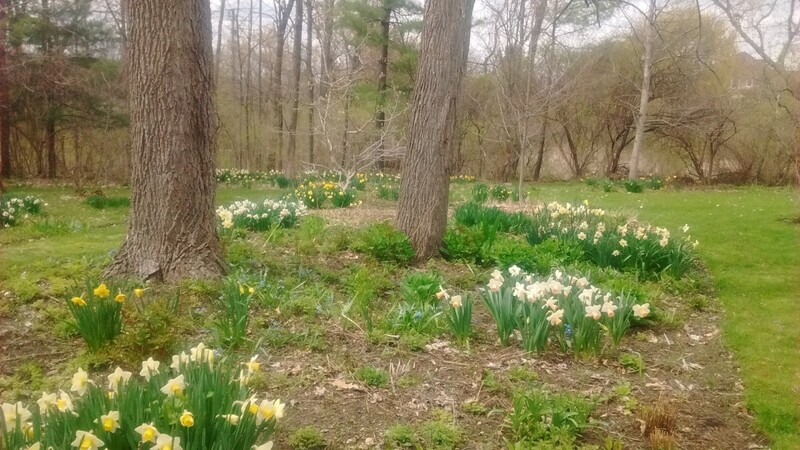 Bulb flowers like daffodils grow well under black walnut trees. Raised soil beds (in sunlit locations with proper pH balance) will help protect gardens in Ohio landscapes that have black walnut trees. Raised garden beds with amended soil will lessen opportunities for tree roots to grow toward the plot. Black walnut tree twigs, nuts, hulls, leaves, stems, and branches must be kept away from the garden. Remove black walnut trees seedlings as they sprout in unwanted areas. Do not chop up fresh black walnut trees for mulch or wood chips. When completely dried, black walnut tree bark is useful for mulch – but it must be composted for at least six months. (Toxic chemicals break down in compost when exposed to water, bacteria and oxygen. The poisonous output typically degrades within two to four weeks in compost, but up to two months in soil). 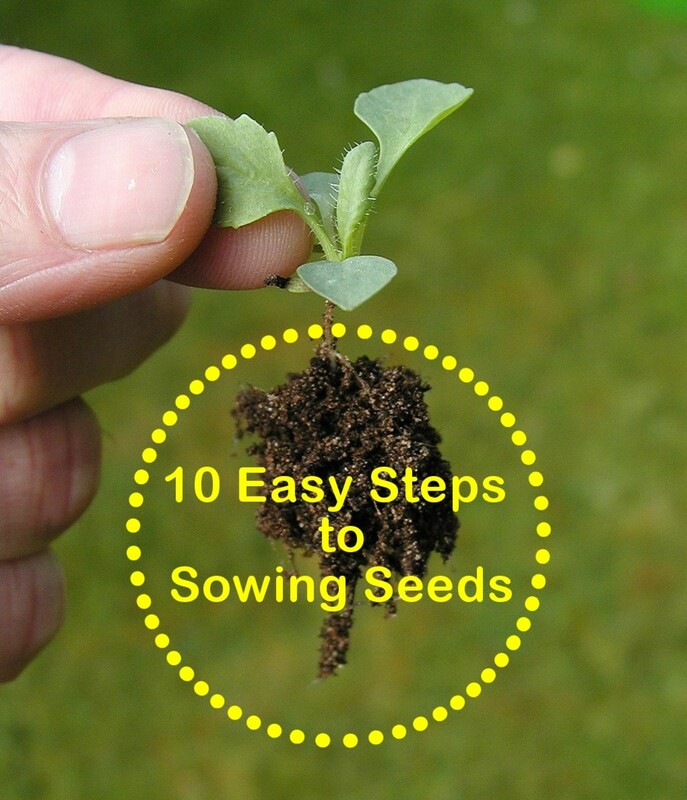 Improve garden soil and metabolize toxins while encouraging organic matter and drainage. Choose “tolerant” shrubbery, ground covers, flowers, grasses and vines to plant near the black walnut tree. (Check with your local garden store). When it comes to controlling the toxin, cutting the tree down won’t solve the problem. Juglone remains in the wood as the roots are decomposing; this could take five years or longer. 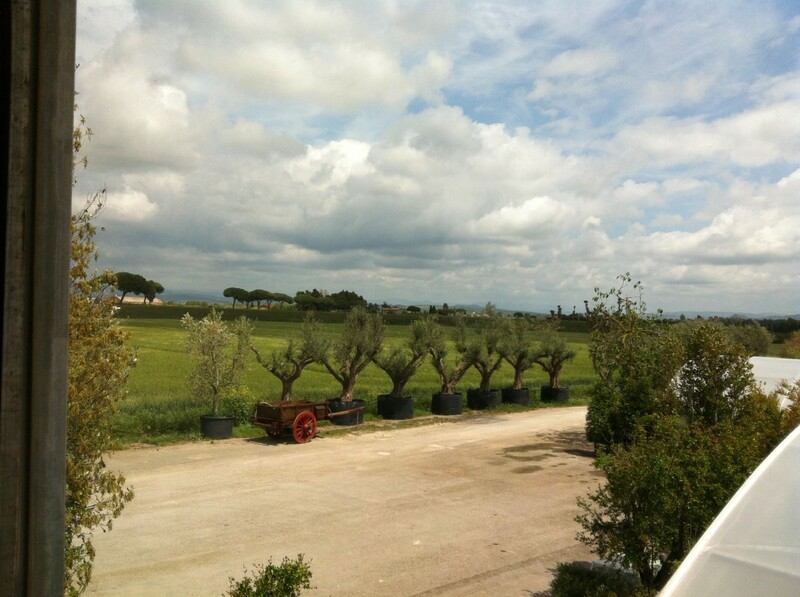 Find the best location when growing walnut trees for profit or landscape aesthetics. Annuals: begonias, violets, morning glories, impatiens, pansies, marigolds and zinnias. Various shrubs, vines and trees as well as certain bulb flowers (like daffodils) can be planted near black walnut trees. Annuals, perennials and bulbs: petunias, coral bells (heuchera sp. ), Chrysanthemum (morifolium) and Colorado Columbine Aquilegia (caerulea). 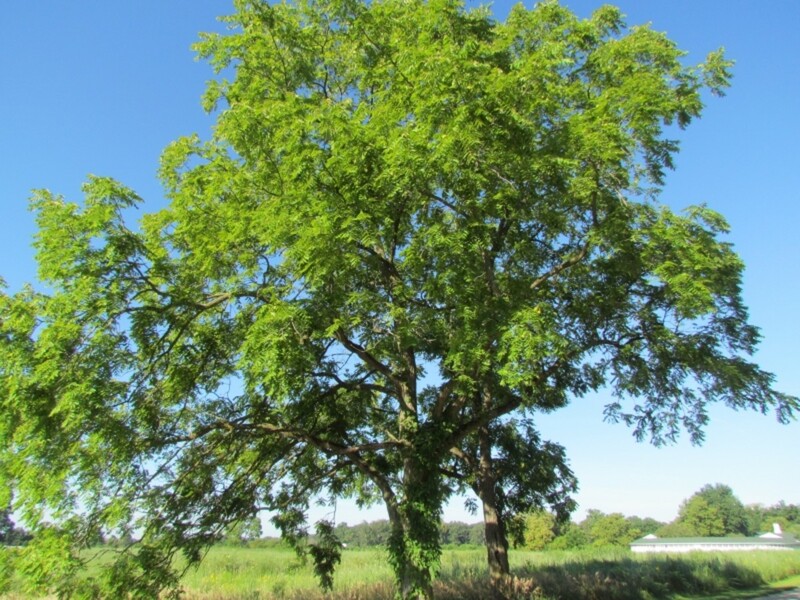 Because there are so many fruits, vegetables, vines, ground covers and shrubberies that can die from the toxic effects of juglone, the best advice for planting near black walnut trees is to consult with gardening experts or your county extension service. 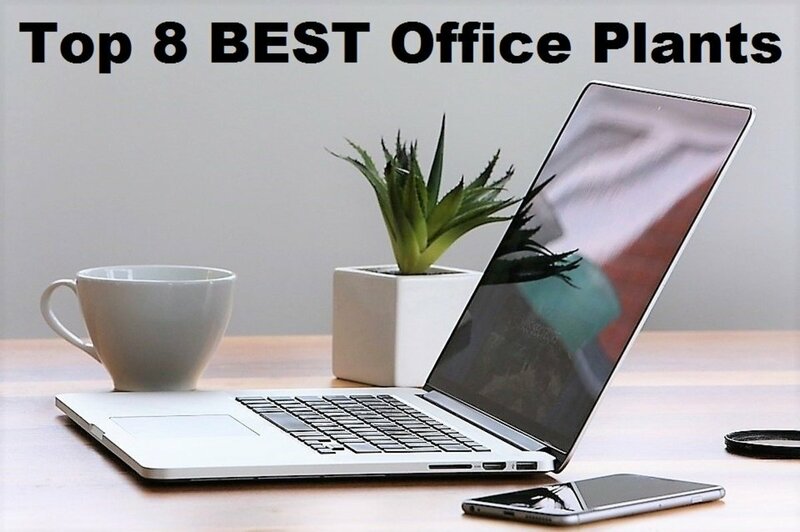 Keep in mind, however, that any lists available may not be all-inclusive or completely accurate because scientific outcomes do vary; some of these experiments are only based on observation of plants in specific environments. 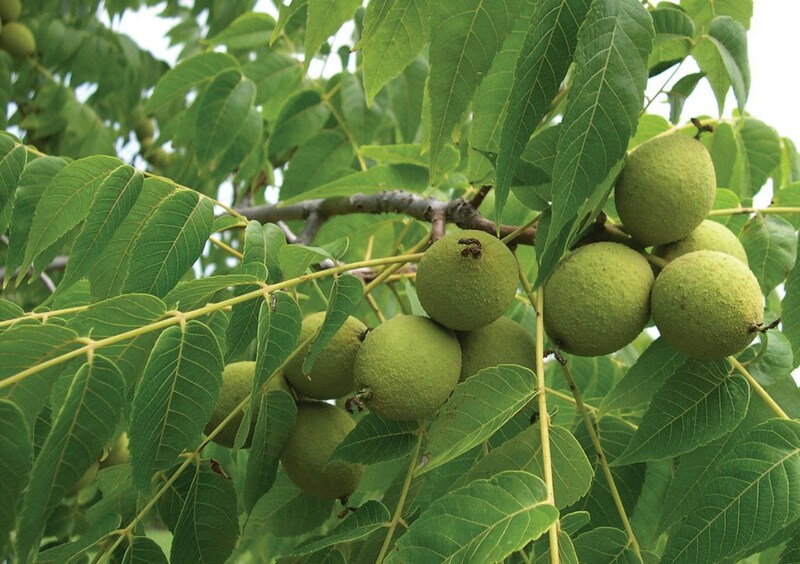 Ohio's black walnut trees are prolific — they produce their fruits easily (and can sprout up in a number of surroundings). Before planting gardens and landscapes, make note of where the black walnut trees are growing in your yard. 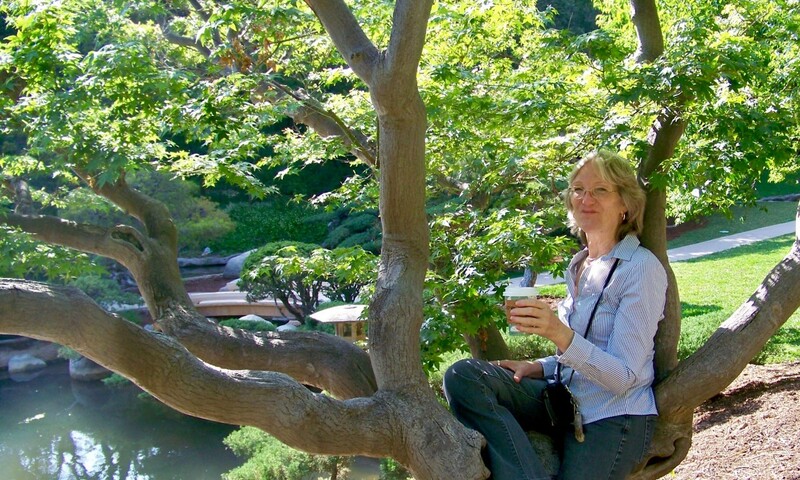 Could juglone be responsible for the death of Japanese Maple, Hydrangea petiolaris and Porcelain Vine? Depending on where these trees are planted, the proximity could affect -- although the trees you've noted are not known to become victims. Other factors could play a part in the death of the trees, such as disease, insect infestations, soil, etc. This is an interesting and useful article. Thanks for sharing the information about juglone and the helpful tips.